Sous Vide Ways is a participant in the Amazon Services LLC Associates Program, an affiliate advertising program designed to provide a means for us to earn fees by linking to Amazon.com and affiliated sites. Sous Vide Ways. is a participant in the Amazon Services LLC Associates Program, an affiliate advertising program designed to provide a means for us to earn fees by linking to Amazon.com and affiliated sites. We may earn commission on products purchased through links on sousvideways.com, but we will never link to affiliate products unless we approve of the product and its seller. Sous Vide Ways may receive payment or products from time to time to supplement posts, but this will never influence what I write and I will disclose if I have received any such compensation. If you have any further questions regarding this policy, please e-mail me at sousvideways@gmail.com. This website and its contents are the copyright of Sous Vide Ways © 2018. All rights reserved. 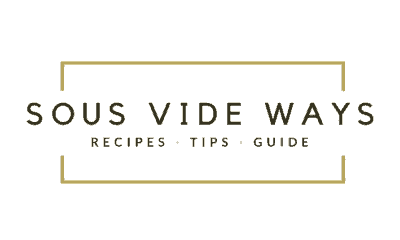 Sous Vide Ways does not allow for its original pictures, recipes, or writing to be reproduced anywhere without written consent except for sharing on social media platforms (like Facebook and Instagram) and only if the share contains a link back to the appropriate page on sousvideways.com. If you have an interest in posting one of my photos, text from my post or my recipes on another site, you must first obtain written consent. However, we love being included in roundups, so please do not hesitate to email sousvideways@gmail.com if you’re interested in using one of our recipes!